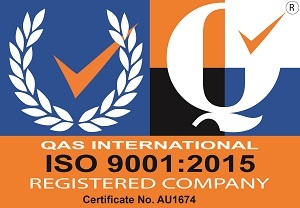 Objective3D is an ISO 9001:2015 compliant organisation. To become certified as ISO 9001:2015 compliant Objective3D underwent an extensive evaluation process that included quality management, management documentation review, pre-­audit, initial assessment, and clearance of non­‐conformances, all of which work to identify corrective actions that eliminate non­‐conformance to the quality management standard. The certification of compliance with ISO 9001:2015 recognises that the policies, practices, and procedures of our company ensure consistent quality in the product and services we provide our customers. With this certification, our customers can be confident that Objective3D is dedicated to maintaining the highest efficiency and responsiveness in achieving our ultimate goal – guaranteed customer satisfaction. Objective3D Pty. Ltd. provides specialist 3D printer and scanner solutions for diverse industries across Australia and New Zealand from the state-of-the-art additive manufacturing centre-located at Carrum Downs in Victoria. The scope includes rapid prototyping and custom manufacturing solutions, the marketing and sale of hardware and the supply of consumables for the hardware including the service support, maintenance and customer training for the hardware.ons. To maintain our certification, QAS International will perform audits to ensure compliance and to assess initiatives for continued improvement. Our customers can be confident that Objective3D will continue to provide the high-quality products they have come to expect well into the future. We believe that our decision to undertake this certification is a proactive and necessary one that not only anticipates the demands of our customers but also demonstrates our commitment to providing quality services for all our customers.